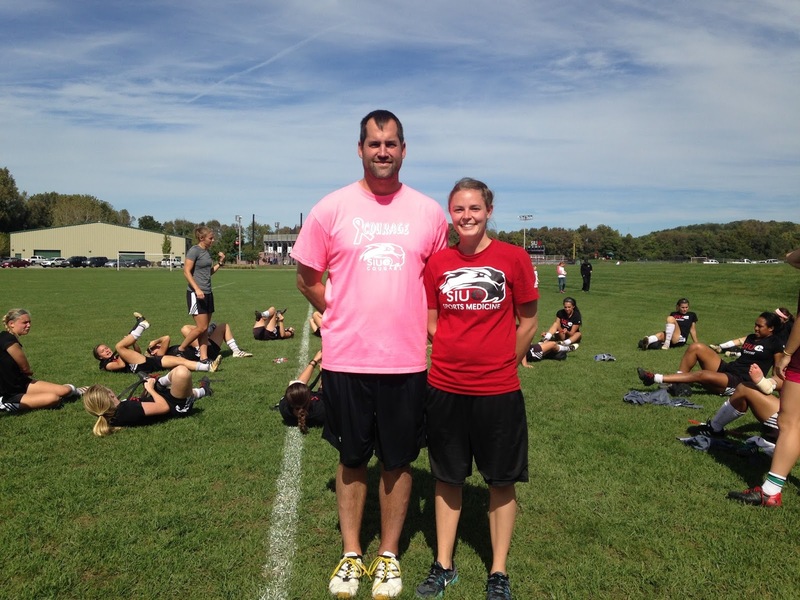 SIUe has been a fantastic site to learn and grow at for our final year as SLU athletic training students. 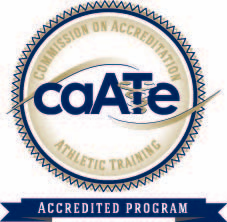 We have the opportunity to work with division one athletes in top facilities. They have a wide variety of modalities that are available and multiple facilities to use. Our preceptors encourage us learn and grow into the professionals that we want to be. With hands on experience we are able have the opportunity to a relationship with the athletes in order to improve their quality in performance. We have different opportunities to work with multiple teams in a variety of athletic training rooms on campus, giving the athletes multiple places to go for help. Stephanie Ross - Caring for Women’s Soccer team along side Ben Heimos MAT, ATC, the athletic trainer, has given me the opportunity to discuss treatment options not only for the injuries that we are currently in season with but also the baseball injuries. Ben is the athletic trainer with Baseball in the spring, and with my summer field experience being with a minor league baseball team has given me the chance to build upon my knowledge of shoulder injuries and treatment. Talking with Ben, I learned that he previously used to be with the Marlins affiliated teams. He started out working in low A baseball and then was able to move up to AA. With both his experience and my experience working with professional baseball teams I have been able to discuss a shoulder program that was done at my clinical site for the summer along with his view on what stretches for the shoulder are the best based on his experience. 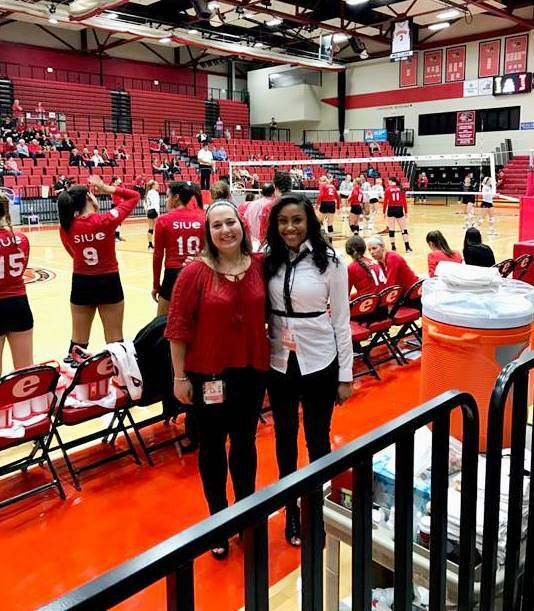 Brandi Burgett - My clinical rotation with the volleyball team and my preceptor Alex Sawyer MAT, ATC (SLU MAT Class of 2013) has given me a different fall sport experience than the normal football experience. I have really enjoyed working with volleyball more than I thought I would. Being a former volleyball player has really helped me connect with my athletes and build those relationships that I find so important in athletic training. I have been able to learn a lot from a former SLU AT student as well. We are able to discuss what we may have learned at SLU and how she has adapted it from her experiences since then.